I don't underestimate anybody but rather accept and show respect to anyone who comes into contact with me. Have always wish to build a family, not just a family but a family one can trust and hope something better will come out of it. 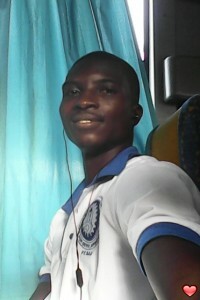 I'm a young man from Ghana seeking for a lady to start life together with. I believe age is just a number but what matters is the love, the love is what's going to bond us together without any age differences.